the level of interest and qualifications of Officers willing to join the Federal Staff team. It has been noted that the quoted date by which Expressions of Interest need to be submitted was inaccurate and F/RO/05/18 has been issued to clarify. 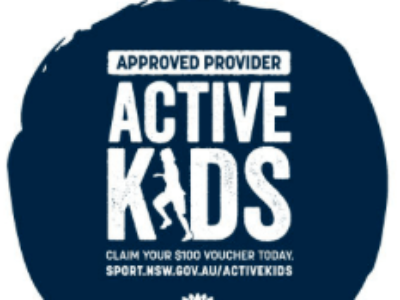 The NSW Boys Group of the Australian Air League is pleased to advise that it has now been approved as an Active Kids Provider registered with Service NSW. It is with regret that we advise of the passing, on Friday 25th May 2018, of Commissioner (Retd) Eric Henry William Nolan, LM., DSA in his 92nd year. Eric was born on 21st August 1926 and joined the Brighton Company (now Squadron) of the Australian Air League Inc. on 26th July 1940 just before his 14th birthday. At the time of his passing, it is noted that Eric has served the League with distinction with 77 years of general service and 73 years of Officer service. He received his 75-year general service certificate in October 2015. Details of funeral arrangements and period of mourning can be found in Federal Routine Order 02/2018. The final Reserve Forces Day Parade will be held on Sunday 1st July in Hyde Park Sydney, with a rehearsal day on Sunday 17th June. The Reserve Forces Day Council has asked the Air League to provide volunteers to assist with Banner carrying and other various duties. Details can be found here.